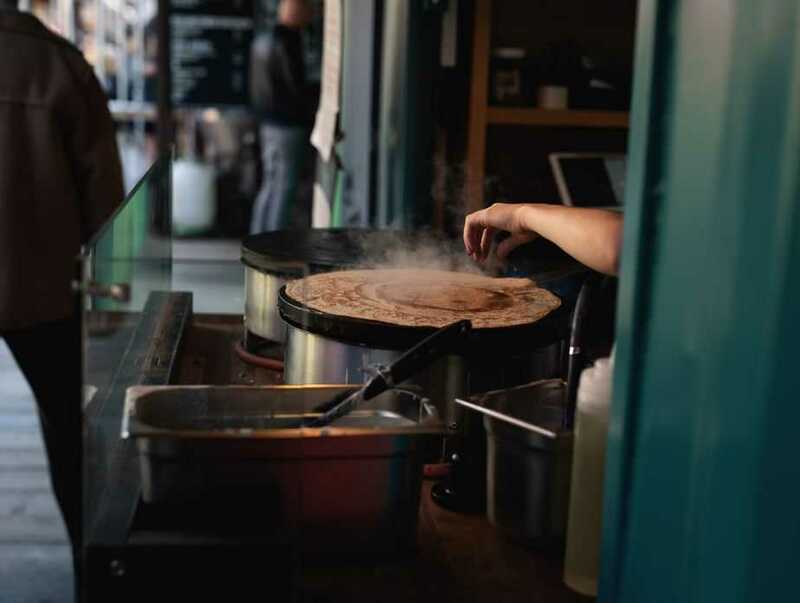 It is nearly impossible to avoid the throngs of street-side crêpe stands that pour onto the Parisian roads. 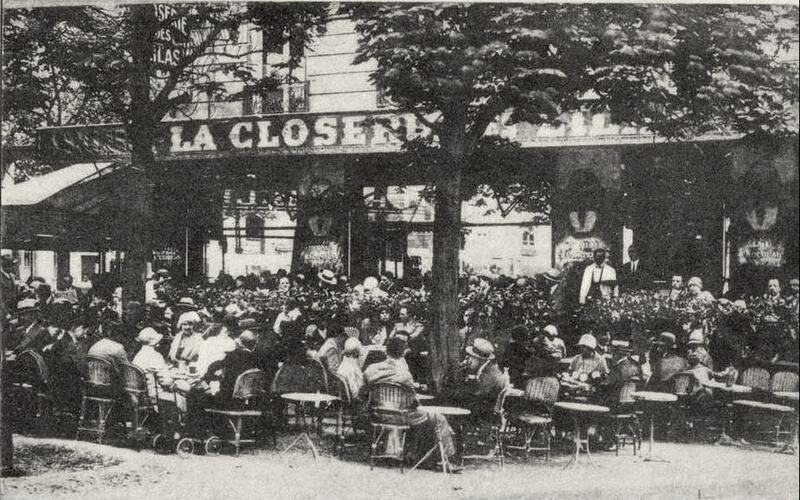 The vendors, executing perfect wrist technique, swirl the pancake-like batter on the circular hot plate to create a thin, French treat. Wherever you are, the faint odor of nutella, bananas, chocolate, sugar and butter can be smelt lofting over the city, drifting through the cobblestone roads. France is made up of many different regions. Among these are Normandie, Île-de-France, Bourgogne and Bretagne. Each region has its own landscape and climate, and, thanks to this diversity, each region boasts of its unique product. 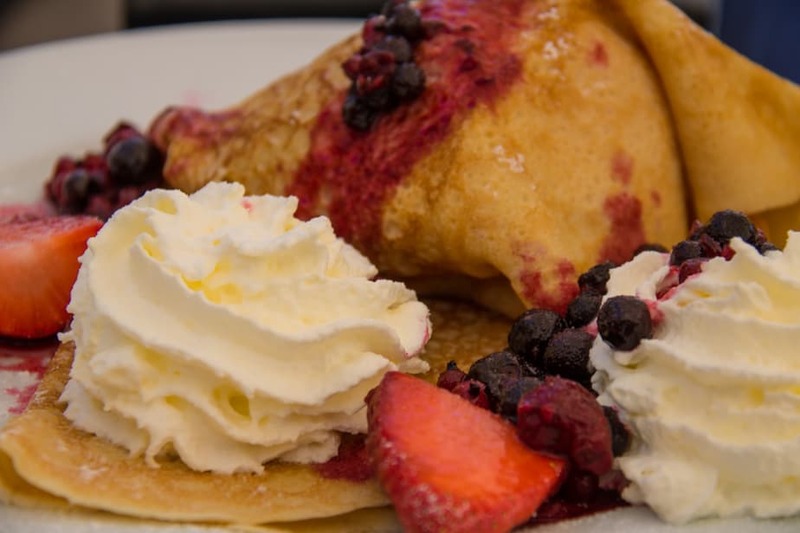 The most famous export from the sea-side region of Bretagne is the crêpe. Bretagne (or Brittany for the English speaking world) is located on the western side of France. It lies next to the sea and sits only 2 hours away, by ferry, from the coast of England. Its landscape is coastal and rocky, giving birth to large, open swaths of land that closely resemble the landscape if its older sibling, Great Britain. 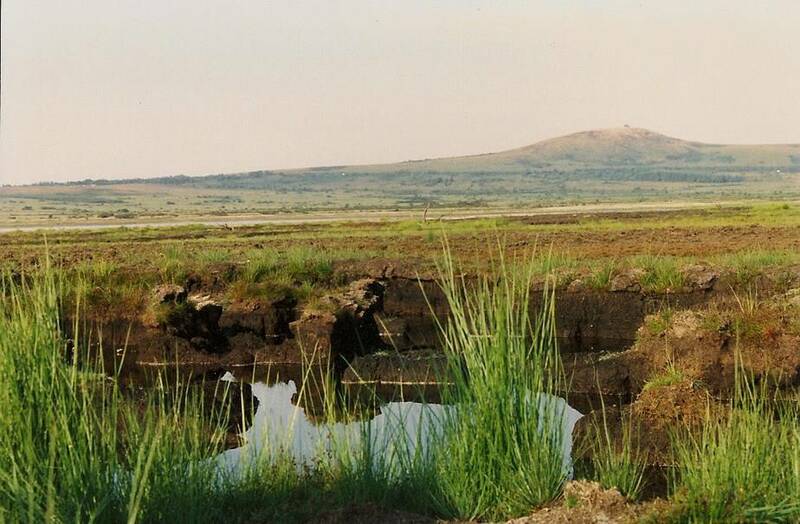 Its green hills are dotted with grazing sheep and running water. Brittany is rich with physical beauty but, unfortunately for the early inhabitants, it is plagued by a harsh environment that traditionally made it difficult to maintain crops. It is for this reason that the arrival of buckwheat in the 12th century by the crusaders made such an impact upon the people of brittany. Crêperies span every area, arrondissement and neighborhood in Paris, but there is no corner of the city more populated by these quaint crêperies than the eastern quarter of Montparnasse. This is because Gare Montparnasse is the train station that directly connects Brittany to the city of Paris. Upon first opening in 1840, people of Brittany flocked to Paris, setting up shops and restaurants in the Montparnasse quarter, specializing in the exports of Brittany. If you are looking for a good crêpe, there is no better place to explore than the restaurants near Montparnasse. After the voyage to Paris, the crêpe was exported to every region in France. In 2019 it is nearly impossible to find a French town that does not have and cherish its own, quaint crêperie. The French tend to be proud people and they hold dear the things that make them unique. 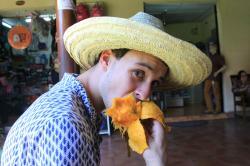 They have a long history of tradition and food. Celebrations continue to play a large role in their society. The crêpe has its own special place in the heart of French culture. In France, the crêpe is celebrated on the day of February 2nd. It is known as le jour des crêpes , literally translated to mean the day of crepe. That is right, the French have an entire day dedicated to a sophisticated pancake (don’t tell them that). February 2nd is also known as La Chandeleur, marking the return of daylight and the fall of winter (no pun intended). Families gather around over a large dinner of crêpes to celebrate their culture and the new season. Crêpes come in two forms: the sweet and the savory. 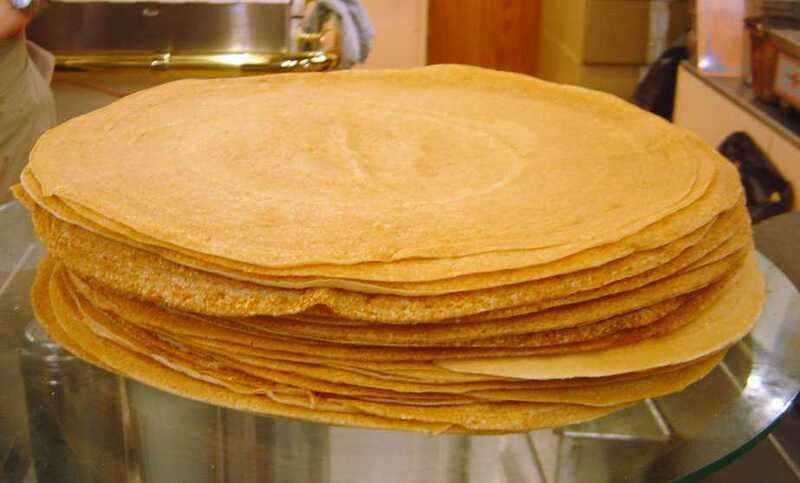 The savory crêpes, known as galettes, are made with buckwheat flour and traditionally contain egg, cheese and ham. The sugar crêpe, however, has been slightly altered since the 12th century, now using wheat flower instead of the traditional buckwheat. 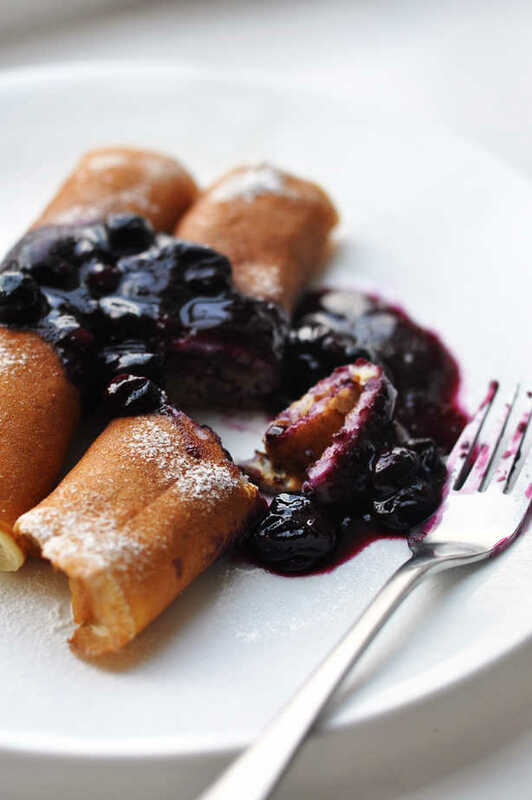 Staying true to tradition, sugar crêpes are normally filled with sugar, butter and sometimes lemon. By now there are many different varieties of crêpe that differ from the old tradition. The most recent trend in crêpe history is to put nutella inside. This, strange as it may seem, was not available in the 12th century. The crêpe is usually seen as a quick, cheap, on-the-go street food, but this is not always the case. The French also eat crêpes in a more formal way, such as at home or in restaurants. Typically a crêpe or galette is eaten with a glass of apple cider that is also made in the region of Brittany. No matter how it is eaten or what is inside, the crêpe is a staple of French tradition. The crêperies are not to be missed during your visit to France. The famous Crêpe Suzette was invented by the king’s chef in the early 1900’s. He made is as a dessert for the prince and was seen as the most luxurious of desserts. It is made with sugar, butter, orange, tangerine and a strong liquor. Different variations of the crêpe exist in other countries in Europe. Recently Japan has also began to make their own form of crêpe based off of the the French classic. 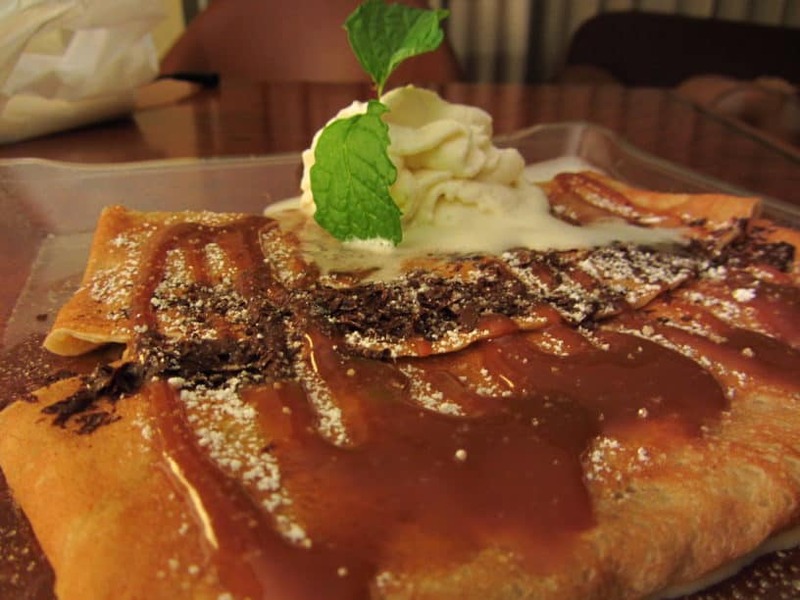 Some desert crêpes are made with a strong liquor that is set aflame upon arrival to the table. The Crêpe Suzette is rumored to be the first crêpe prepared with the concept of crêpe flambé. Traditionally the first crêpe made is offered to the cat. This is because the first crêpe is usually a flop (pun most definitely intended) and usually ends up on the floor anyway. The tossing of the crêpe is all in the wrist technique. Practice before coming to Paris. It may come in handy.